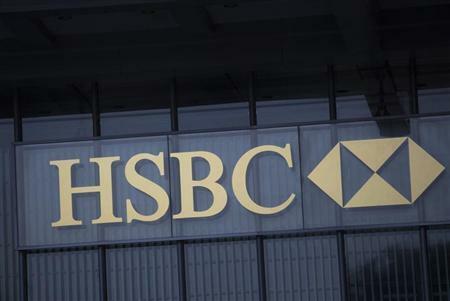 LONDON (Reuters) - HSBC will announce staff bonuses totaling just under 2.4 billion pounds ($4 billion) globally for 2013 and is expected to report a significant rise in pretax profit, Sky News reported on its website on Saturday without citing its sources. Referring to an unnamed source close to the bank, Sky also said Chief Executive Stuart Gulliver will receive a 1.8 million pound bonus as part of an overall pay deal worth more than 7 million pounds, though this would be less than his previous year pay deal of 7.4 million. Europe's biggest bank is expected to announce the size of its bonus pool on Monday along with its yearly results. Bonus payments remain a sensitive issue as many Britons still blame banks for the 2008 financial crisis, after which the state was forced to bail out RBS and Lloyds. Earlier this month Barclays prompted an angry reaction from politicians and labor unions after it increased its bonuses by 13 percent to 2.4 billion pounds, even as it announced plans to axe 12,000 jobs. Sky quoted an unnamed source saying the rise in variable pay or bonuses at HSBC would be smaller than its likely increase in earnings. The broadcaster also reported Gulliver's bonus was just over half the maximum he could have received under the terms of his contract and that he would be paid a deferred share award of 3.7 million pounds under the bank's long-term incentive plan. He would also take a cash payment in lieu of pension contributions alongside his basic salary of 1.25 million, giving the total of more than 7 million, according to an unnamed source. A spokesman at HSBC declined comment. The bank's overall bonus payments would be marginally higher than its 2012 bonus pool of 2.2 billion pounds and would come only a year before a new EU bonus cap which Britain is resisting through the courts. The new rules would mean from 2015 bonuses cannot be more than fixed salary, or double this amount if a bank obtains shareholder approval. Banks including HSBC, Barclays and Goldman Sachs are among the banks expected to raise the non-bonus part of remuneration with, for example, monthly or quarterly "allowances".